Stropharia are among the darkest-spored of all our gilled mushrooms, yielding nearly black or very dark purple-gray spore prints. 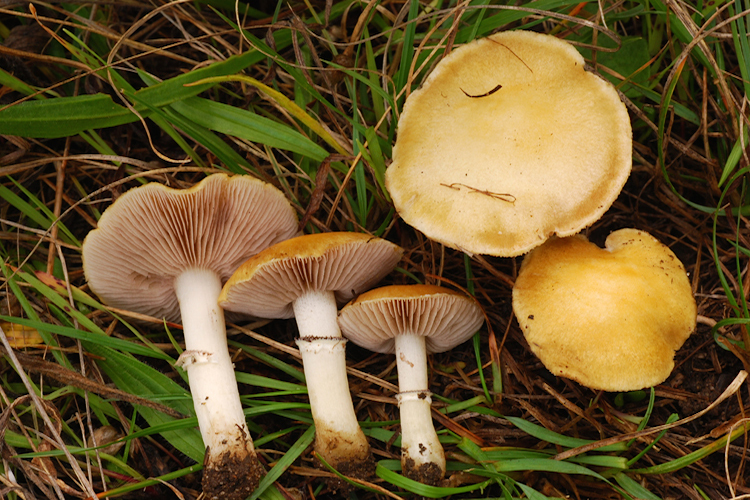 Most are recognizable by their viscid caps (when fresh), partial veils, and attached gills. All are saprobic, preferring very nutrient rich and often somewhat 'ruderal' habitats. Important identification characters are overall colors, stature, substrate, textures of surfaces, and microscopic features (spore size and cystidia features among other things).